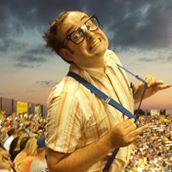 Friends of The Nerd | Follow The Nerd for schedule updates and more! Get social with The Nerd! 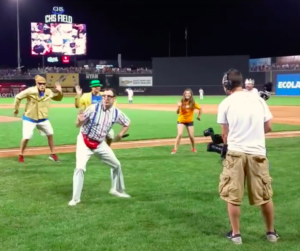 Follow on Facebook and Instagram to know when The Nerd will be at Saint Paul Saints games and of course to fill your feed with nerdy photos and videos! Do you have any pictures of us together? Click here to open FB Messenger and share your pictures! If they’re dorky enough, they may even get posted! 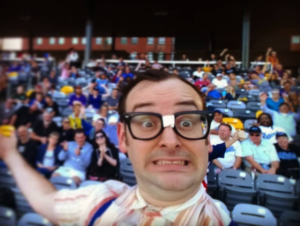 Share Your Photos With The Nerd! 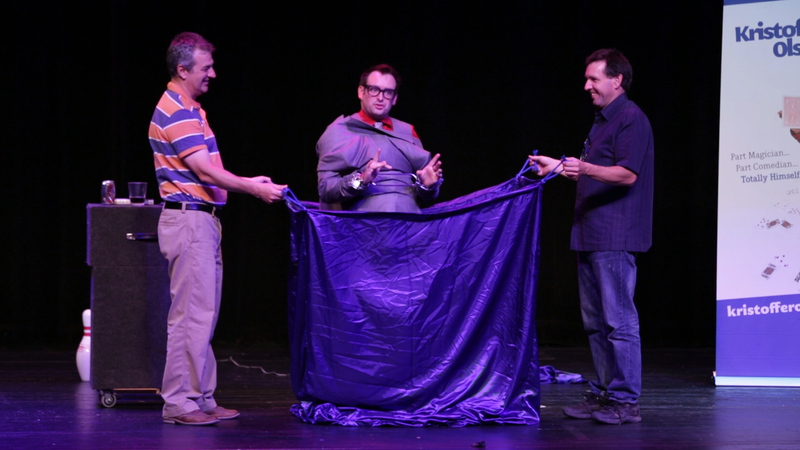 The Nerd is the alter-ego of Kristoffer Olson, who also performs as a comedian, magician, and emcee for banquets and events. His clients include Mensa, Thrivent Financial, SuperValu, Red Wing Shoe, the Kansas City Chiefs, Illinois Institute of Technology, the Minnesota State Fair, and possibly YOU!